I noticed my OEM Radiator stays were getting a bit crusty, so in went some Spoon Radiator Stays in black. The are a generic unit from Spoon, they fit all Hondas, and fits the S2000 with no difficulties. 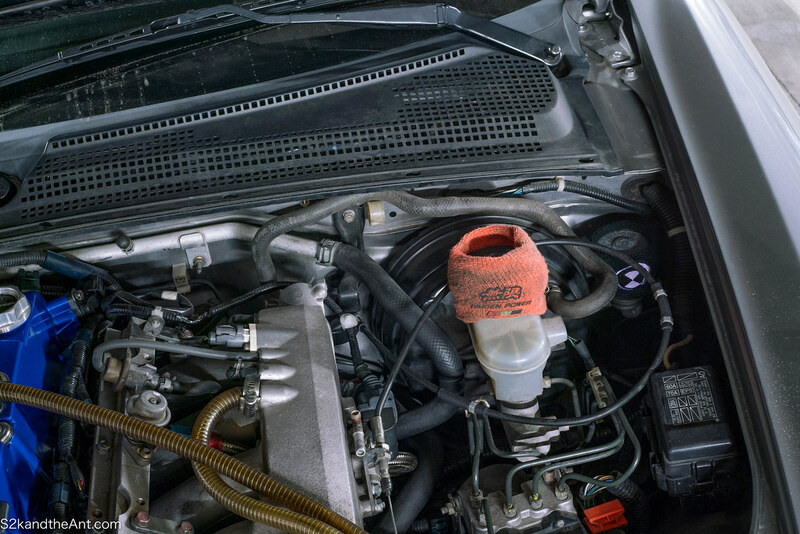 The old radiator stay with a bolt that probably is not the correct one. 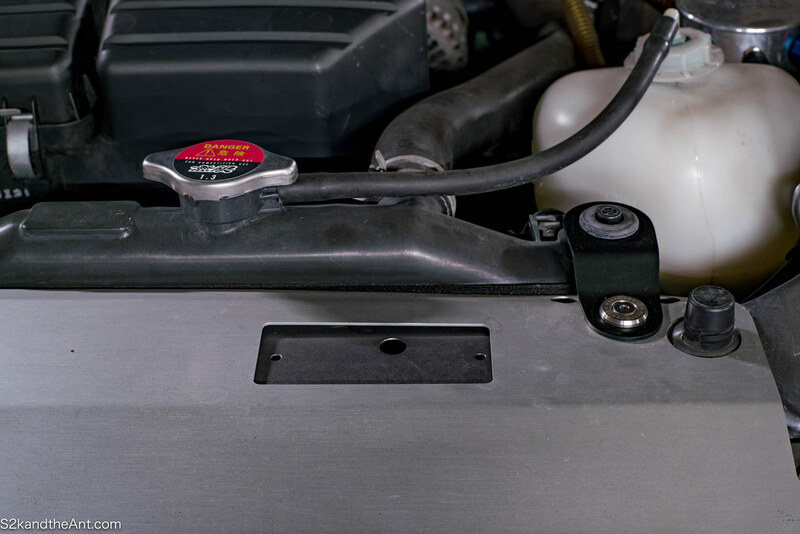 Remove the 10mm Bolt holding the radiator stay in place. 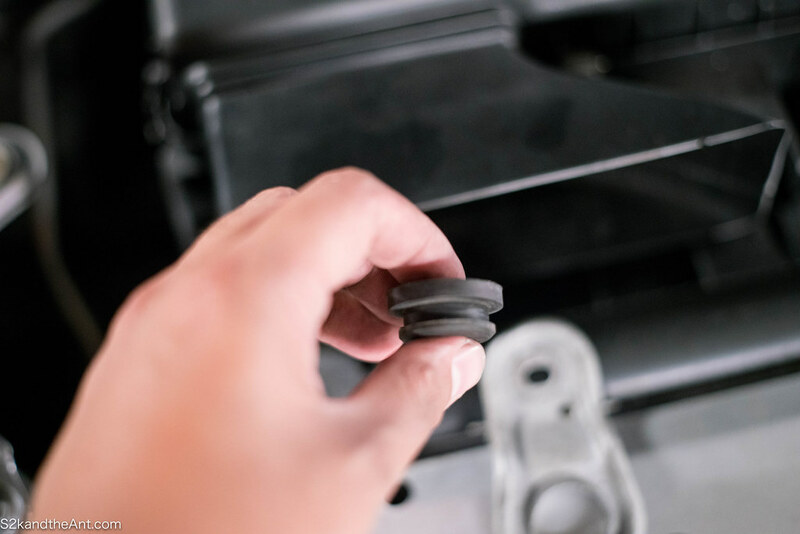 After the stay is off, remove the rubber bushing inside the radiator stay. I was able to push this rubber bushing out with my hand. The Rubber Bushing removed from the old radiator stay. 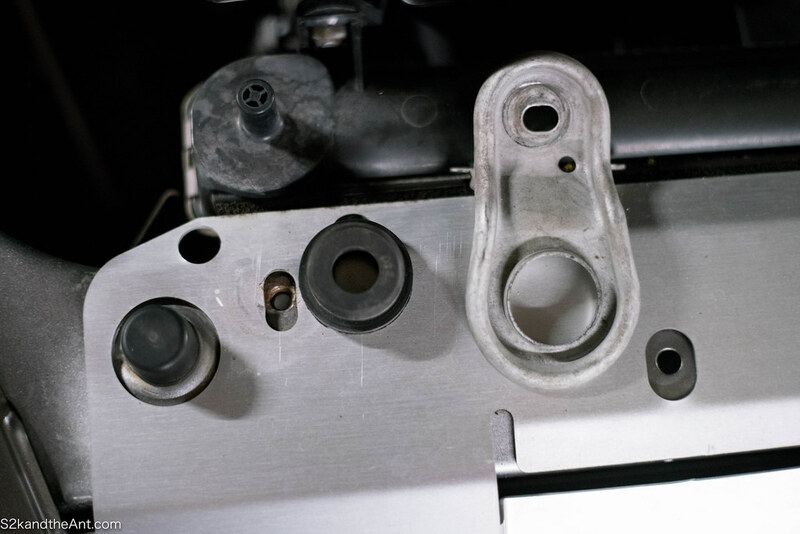 Get your brand new Spoon Radiator stay and press in the rubber bushing you just removed from your old radiator stay. I was also able to do this with my hands again. Since I replaced the radiator stay with a new shiny part, I couldn’t bring myself to reinstall the crusty old bolts. The solution to that? Mugen. The answer is always Mugen. In this case it is more Mugen bolts. 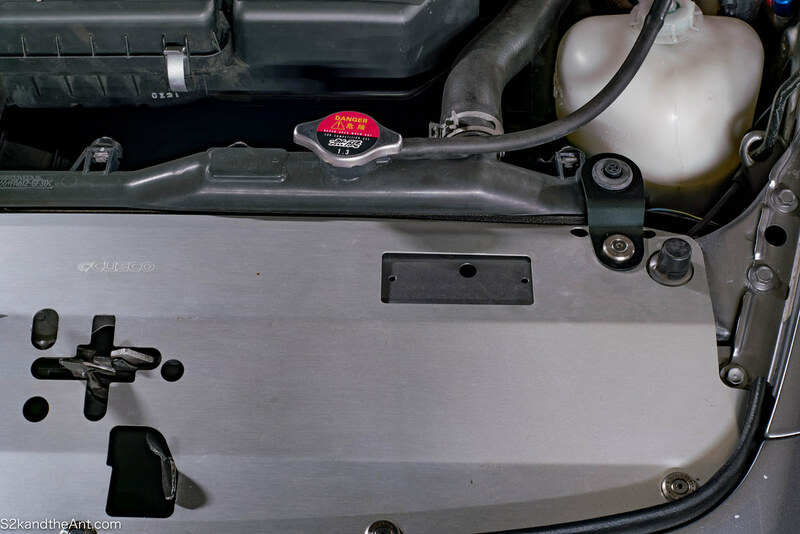 The Cusco Cooling plate has a cutout for the JDM Vin Tag. I need to figure out what to put here, it currently looks so empty. Now that the Radiator stays are changed out, my radiator is looking a bit beat. Perhaps some new hoses and new a radiator are in the works for the future. 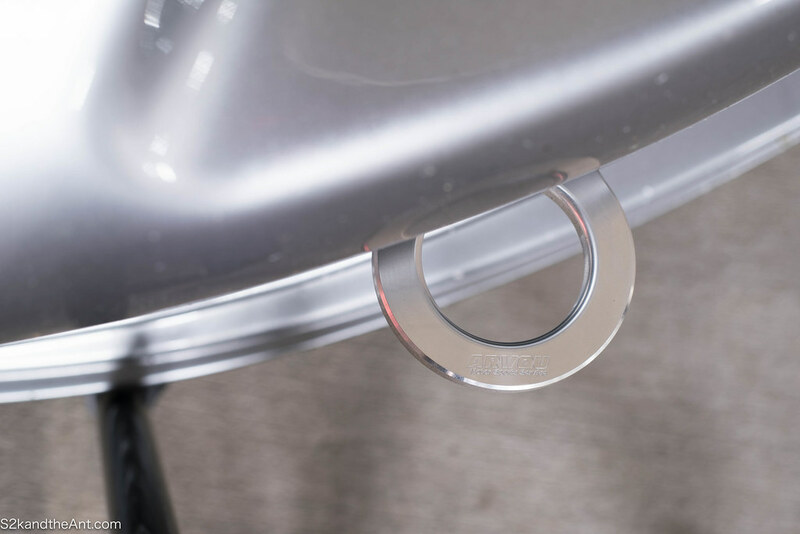 I took a better picture of the Arvou Tow Hook on my Amuse R1 bumper. 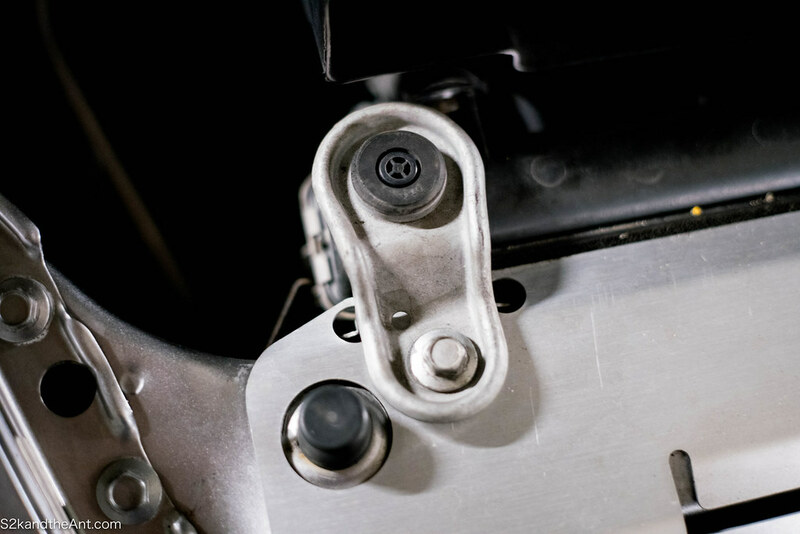 Not having a front tow hook makes me nervous at a track day….. Previously I was running a tow strap, but the strap was not long enough to clear my bumper, so if I require a front tow I’m sure my bumper will be destroyed. 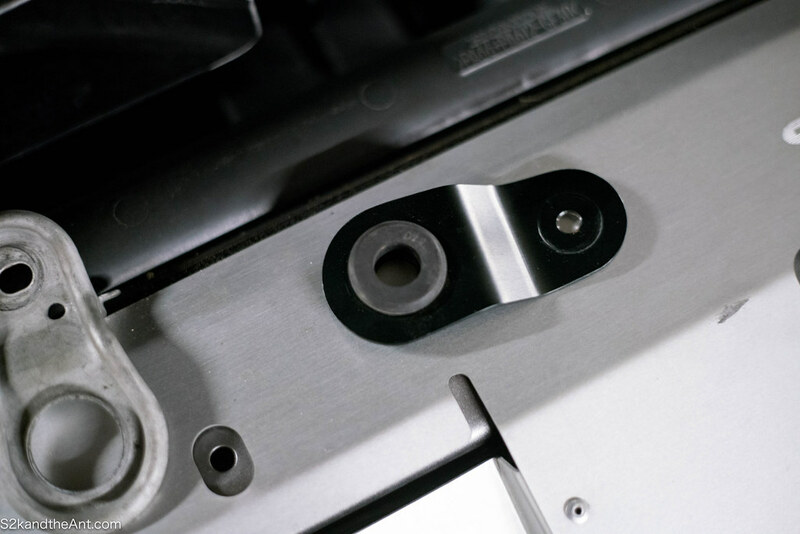 This Arvou unit is milled out of a single block of aluminum and protrudes a 2-3″ from the bumper, ensuring a safe tow. I was able to purchase a few T-shirts and reservoir covers. 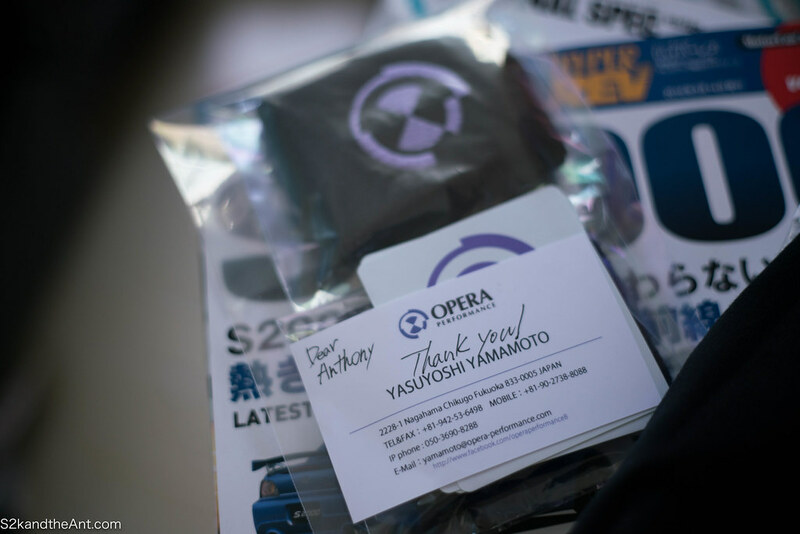 It came with a handwritten “thank you” from the owner of Opera Performance, Yasuyoshi Yamamoto. My Mugen Sock has seen better days, perhaps I can try to throw it into the wash? 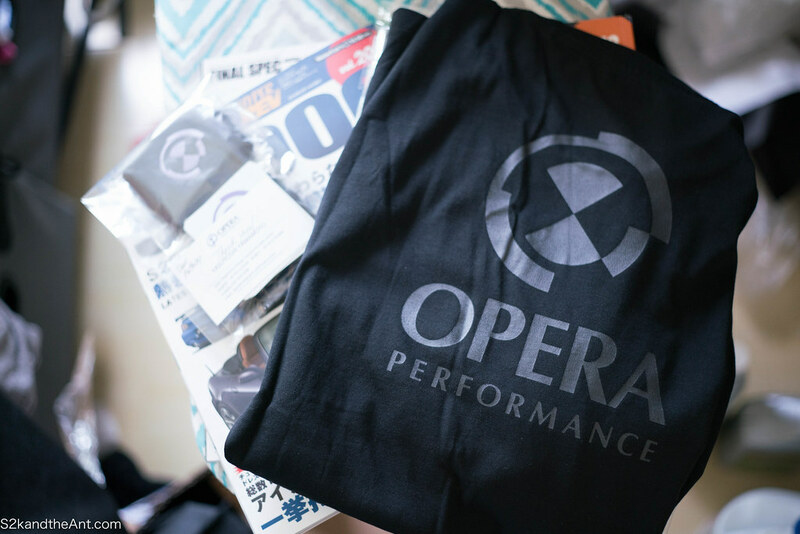 I installed my Opera Performance Reservoir cover on my clutch master cylinder and saved my extra Opera Performance cover for another day.